I was born in Toronto but grew up in Ottawa. I moved to Kingston in 2001 to attend St. Lawrence College. I have always loved animals, so I enrolled in the one-year Veterinary Assistant course and then began the three-year Veterinary Technician course the following year. I graduated in 2005 and after falling in love with this amazing city decided to build a life here with my husband and two children. 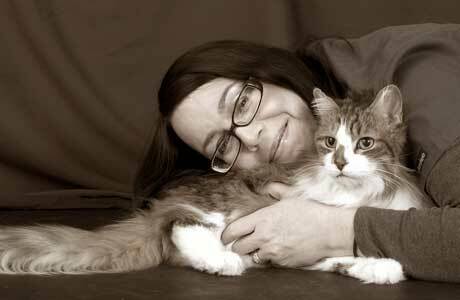 I have been working as a Veterinary Technician for eleven years. I have two cats, Carter and Simon. I love being a part of the team at the Kingston Veterinary Clinic and I am looking forward to meeting you and caring for your pets!